Alok Verma in his resignation letter said that it was a moment of "collective introspection". Rakesh Asthana FIR stands, Alok Verma quits; what's next for CBI? NEW DELHI: Refusing to take charge of Director General (DG) of Fire Services, Civil Defence and Home Guards, Alok Verma quit on Friday. Verma was removed from the post of Director CBI on Thursday by the Selection Committee comprising the Prime Minister, Leader of Opposition and Justice A K Sikri, nominee of Chief Justice of India (CJI) Ranjan Gogoi. Raising “principle of natural justice”, Verma in a letter written to Secretary, Department of Personnel and Training (DoPT) wrote that the Selection Committee did not provide him an opportunity to explain the details s recorded by the Central Vigilance Commission (CVC) before arriving at the decision. “Natural justice was scuttled and the entire process was turned upside down in ensuring that he is removed from the post of the Director CBI. The Selection Committee did not consider the fact that the entire CVC report is premised on charges alluded by a complainant who is presently under investigation by the CBI”, read Verma’s letter. It added “the CVC only forwarded a purportedly signed statement of the complainant and the complainant never came before Justice (retd) A K Patnaik who was supervising the enquiry”. Significantly, Verma claimed that “Justice Patnaik has concluded the findings/conclusions of the report are not his”. 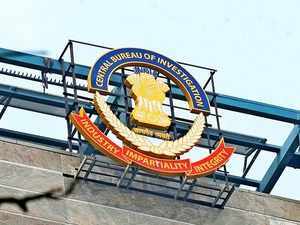 Saying that this was a “moment for collective introspection” Verma wrote “institutions are one of the strongest and most visible symbols of our democracy and it is no exaggeration that the CBI is one of the most important organisation in India today. The decisions made yesterday will not just be a reflection on my functioning but will become a testimony on how the CBI as an institution will be treated by any government through the CVC, who is appointed by majority members of the ruling government”. He added “as a career bureaucrat it is the idea of my integrity that has been the driving force for four decades in public service”. Verma said that technically he stands superannuated on July 31, 2017 and was only serving the government as Director, CBI till January 31, 2019 as the same was a fixed tenure role. Since he is no longer Director CBI and has already crossed his superannuation age for DG Fire Services, he may be deemed as superannuated with effect from today, Verma wrote. Meanwhile, the newly appointed interim Director M Nageswara Rao reversed all the orders passed by Verma on January 9 and 10. Vide these orders, Verma had withdrawn all transfers ordered by Rao on October 24 (in his capacity as interim chief). This means that the special investigation team (SIT) constituted by Rao will continue to probe bribery allegations against Rakesh Asthana. As per available information, the government has zeroed in on names of the new CBI Director and a decision will be taken shortly. In Video: Rakesh Asthana FIR stands, Alok Verma quits; what's next for CBI?